General awareness is a very important aspect for MBA aspirants. This article is aimed at enhancing your awareness about the current news and happenings that occurred globally in this week (8th October to 14th October). It will help you in your preparation for the competitive exams such as MAT, CMAT, NMAT, SNAP, IIFT, IRMA, FMS, XAT etc. 1. 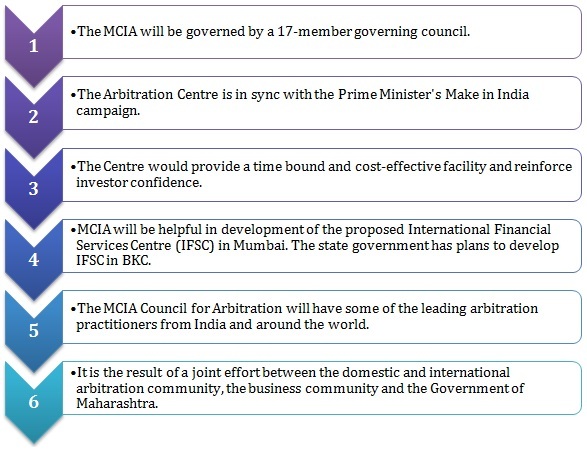 On 8 October 2016, Maharashtra Chief Minister Devendra Fadnavis inaugurated India’s first centre for international arbitration in Mumbai. In the event Fadnavis mentioned that India will leave its benchmark worldwide in business dispute redressal with the setting up of international arbitration centre in Mumbai. 2. 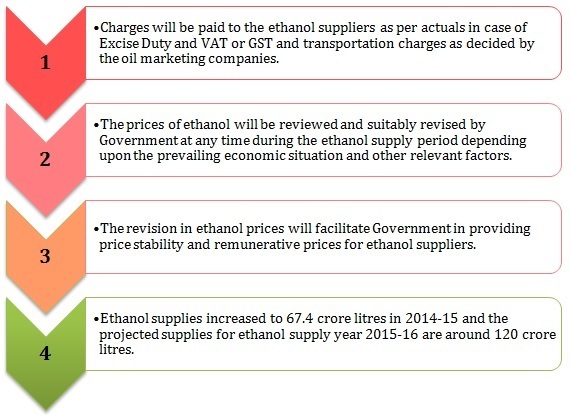 On 13 October 2016, Cabinet Committee on Economic Affairs (CCEA) approved the mechanism for revision of ethanol price for supply to Public Sector Oil Marketing Companies (OMCs) to carry out the Ethanol Blended Petrol (EBP) Programme. 3. On 13 October 2016, Union Cabinet approved MoU between Export-Import Bank of India (Exim Bank) on General Cooperation with the BRICS promoted New Development Bank (NDB), along with other Development Financial Institutions of BRICS nations. 1. On 13 October 2016, India donated Rs. 9.3 million to the Nelson Mandela Foundation to help it in its welfare work for the people of South Africa. 2. On 11 October 2016, Telangana's (India's 29th state) map was redrawn with the creation of 21 new districts. With this revision, the total number of districts of the youngest state of India went up to 31. Chief Minister K Chandrasekhar Rao cut a ribbon in the new district of Siddipet, carved out of his native Medak district, marking its creation, while Legislative Assembly Speaker, state ministers and other dignitaries attended similar events in other new districts. The new districts which came into existence on this event are Siddipet, Jangaon, Jayashankar, Jagtial, Warangal (Rural), Yadadri, Peddapally, Kamareddy, Medak, Mancheriyal, Vikarabad, Rajanna, Asifabad, Suryapet, Kothagudem, Nirmal, Wanaparthy, Nagarkurnool, Mahabubabad, Jogulamba and Medchal/Malkajgiri. 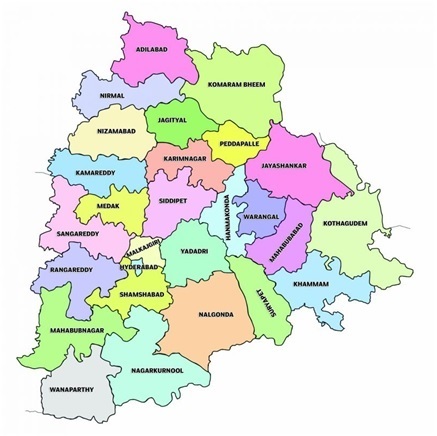 The other ten districts are Hyderabad, Ranga Reddy, Mahabubnagar, Medak, Karimnagar, Adilabad, Nizamabad, Warangal, Khammam and Nalgonda. 3. The state government of Madhya Pradesh has launched a scheme-'Lalima Abhiyan'- that will be effective from November 1. The scheme aims to make Madhya Pradesh anaemia-free. Under the campaign, free iron folic acid tablets will be provided in aagan wadis', academic institutions and hospitals. 4. On 8 October 2016, Telangana government organised the traditional state festival of 'Bathukamma' on at the Lal Bahadur stadium in Hyderabad. 1. 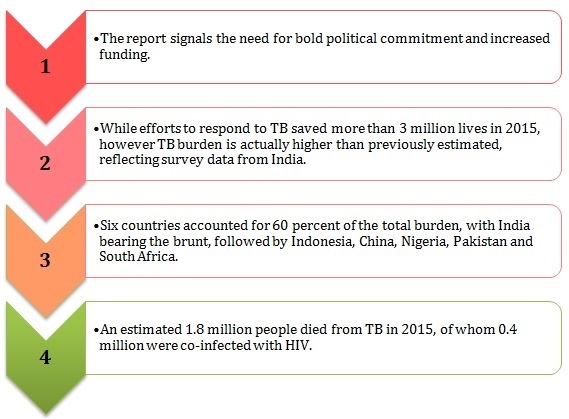 On 13 October 2016, World Health Organisation (WHO) released the Global Tuberculosis Report 2016 highlighting that countries need to move much faster to prevent, detect and treat Tuberculosis (TB) in order to meet global targets. 2. 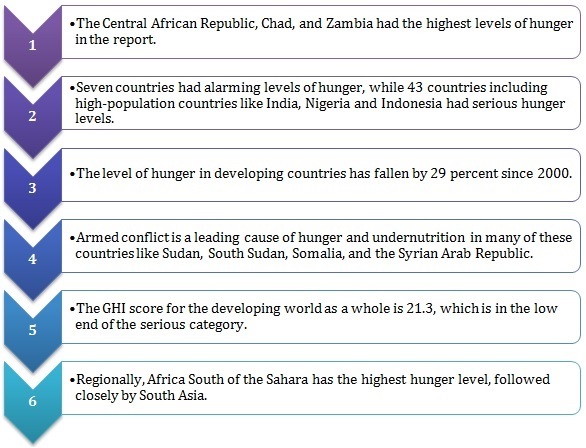 On 11 October 2016, International Food Policy Research Institute (IFPRI) released the 2016 Global Hunger Index (GHI). India is ranked at 97th position. India’s GHI score of 28.5 is worse than the developing country average score of 21.3. 3. 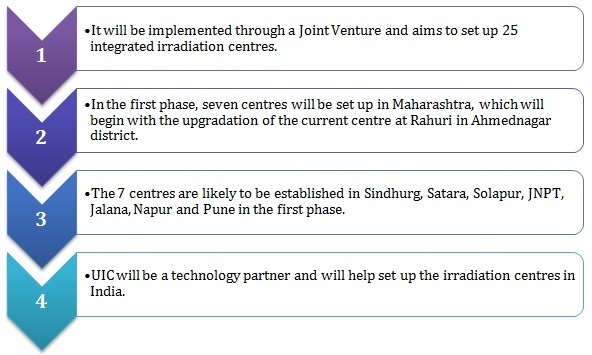 On 13 October 2016, India and Russia signed a bilateral agreement for cooperation in the development of a network of integrated infrastructure irradiation centres. 1. On 9 October 2016, Agnieszka Radwanska (Poland) won the 2016 China Open Women's Singles at the National Tennis Center in Beijing, China. She defeated Johanna Konta 6-4, 6-2 to grab the title. 2. On 9 October 2016, Andy Murray won the 2016 China Open Men's Singles title at the National Tennis Center in Beijing, China. Murray defeated Grigor Dimitrov by 6–4, 7–6.